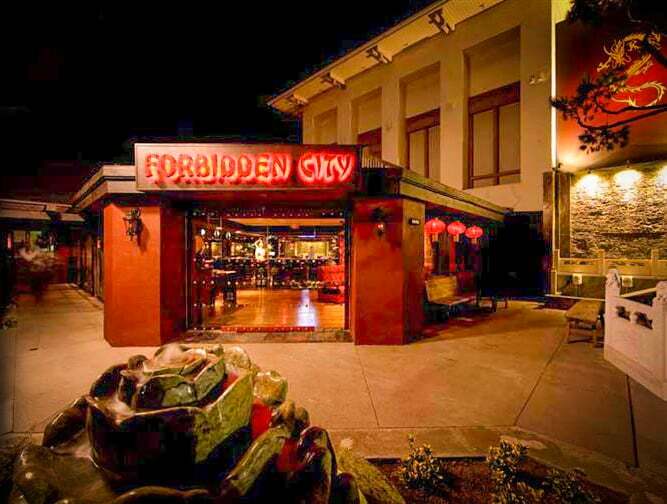 Forbidden City, located at 6380 East Pacific Coast Highway in Long Beach, has closed. Abruptly announcing its closure in November of last year, Chinese restaurant Forbidden City followed what was a long string of restaurant closures in Long Beach over the last few months. And given its massive, 7,000-square-foot, museum-like footprint in Marina Pacifica, it seemed unlikely a tenant, let alone one within a few months, would take over the space. Enter Rod Frontino, the investor behind both of Chef Arthur Gonzalez’s restaurants—Panxa Cocina in Belmont Heights and Roe in Belmont Shore—as well as DOGZ Bar and Grill in the Shore. He plans to open his JADE restaurant in that giant, Marina Pacifica space by April and not change much; maintaining the Asian-centric theme and decor. That nine-ton jade boulder from northern China that eventually became the 5,000-pound fountain in the front of the restaurant, is one of the many collectibles Brausen and Yan brought back to Long Beach after spending two months in the Forbidden City and eight other Chinese metros. In fact, their collection of Chinese works filled three, 40-foot containers filled to the brim with 66 tons of goods that included hand-carved marble pieces, giant Fu Dog sculptures, onyx tables and silk lampshades. It was a space that Frontino not only enjoyed but frequented and the news of his friends having to close up shop hit home. Frontino’s vision of simultaneously honoring the past but moving forward involves tinkering with the menu—think Pan-Asian meets American steakhouse—and utilizing the underused, marina-facing patio for future brunches. Bottomless rosé, dumplings, and Alamitos Bay? Bring it. JADE will be located at 6380 East Pacific Coast Highway.